Ask anyone about why Bitcoin has suddenly risen to prominence and they may offer one of a number of theories. Perhaps it'll be the one about Cypriots smuggling money out of their country, or the promise of a digital gold rush, or perhaps the tale of a disruptive new economy created by a person who may not even exist. Either way, if you'd like to untangle the myths, half-truths and labored economic newspeak behind the world that is Bitcoin, why not join us after the break? Bitcoin's basic idea is to create digital cash that can be spent as anonymously as the cash in your wallet, rather than as traceable as money in an electronic bank account. There's a tired metaphor that Bitcoin is "digital gold," letting you wander around shelling out gold coins for goods or watching them amass into a fortune -- at least in theory. Compare that to a service like PayPal, which can (and will) intervene in transactions at its whim, and you can see why people would desire more fiscal autonomy. Of course, PayPal and major banks expend huge amounts of time and resources to ensure that your money is safe, but with Bitcoin, the security of the system is trusted to your fellow users. Each transaction is publicly verified by the community of Bitcoin users, so as long as there are more honest users than dishonest ones (who would try and steal the cash for themselves) then your money is theoretically safe. "Satoshi Nakamoto" launched Bitcoin back on January 3rd, 2009, which took the theories of Wei Dai's "B-Money" concept of a digital currency that was impossible to be regulated, and fleshed it out with the necessary hard mathematics to create the system in existence today. Nakamoto has since disappeared from the internet and we were unsuccessful in our attempts to contact them, but it is believed that the name is a pseudonym for a group of coders. Nakamoto produced a nine-page PDF file, which outlined a system for conducting transactions based on "cryptographic [i.e., mathematical] proof instead of trust," and outlined the peer-to-peer infrastructure necessary for it to work. On January 3rd, 2009, Bitcoin's value relative to the US dollar was less than a penny. Over time, its value began to increase, and by the summer of 2011, the money was valued at over $30. Shortly afterwards it crashed back to $3, but rose again to $20 in the summer of 2012. It wasn't until 2013 that the currency's value began to surge, and by April 9th, the value of a single Bitcoin had passed the $200 mark -- rapidly crashing back down to the $80 level soon after. At the time of writing, the value lingers around the $120 to $130 mark, lurching between the two on a regular basis. So, how does Bitcoin work? Let's labor that gold metaphor a little further, shall we? The coins are created in a process that's called "mining," but it's really a computer validating data called the block chain. What's a block chain? Well, imagine the data for every bank transaction in the world was printed out in one long line. Mining is the process whereby a computer goes through and checks every single Bitcoin transaction ever made, making sure that the books are balanced at the end. The machine (or "node") that successfully validates the block chain (of the hundreds, if not thousands of machines that are competing) is then awarded a small fee of Bitcoins as a prize. In the early stages of Bitcoin's life, it would have been possible to leave a desktop on overnight in the hope of earning yourself some cash, but as the system has grown, that's no longer feasible. Bitcoin is artificially self-limiting, and to ensure that there is a steady and constant flow of money coming into the economy, validating the block chain is constantly made harder, keeping the successes to a regular pattern. In order to prevent people from circumventing these algorithms and inventing more money, the whole block chain needs to be agreed upon by a majority -- so as long as the honest nodes control more CPU power than the dishonest ones, the system is safe. In practice, this means that as long as no more than 49 percent of Bitcoin users are trying to defraud the system, it'll work. Unlike fiat currencies, where money can be printed to ensure a constant and theoretically infinite flow, Bitcoin is artificially limited to around 21 million units. At a built-in end date of 2140, no more coinage will be created, but miners will still be required to validate each Bitcoin transaction made. While miners currently receive a small cut of every transaction as commission, at the currency's end date, these transaction fees will be the only way of making money -- and we'll have to find a more apt description than "mining" to describe it. In the early stages of Bitcoin's life, it would have been possible to leave a desktop on overnight in the hope of earning yourself some cash, but as the system has grown, that's no longer feasible. While originally this brute-force hashing was undertaken at the CPU level, people quickly realized that GPUs were far more efficient, and now there is a race to build custom systems specifically designed for mining, but heaven knows what the hardware will do to your home energy bill. As there is no central bank monitoring all Bitcoin activity, your money is stored locally on your computer. There is no independent record of your wealth, and so it is your responsibility to ensure that it remains secure. There is a risk that those with large Bitcoin accounts make a prime target for hackers, as anyone could theoretically wander off with your wallet data (and therefore your cash), leaving you with no mechanism for getting your money back if the worst should happen. If you decided that mining looked like too much hassle, you could always just buy some Bitcoins at a currency exchange like Japan's Mt. Gox -- which claims to handle 80 percent of global Bitcoin traffic. But once you've acquired your fortune, what do you do with it? You could always cash out, add to your pile in the hopes of becoming a Bitcoin Billionaire or just hit the shops. While one Bitcoin could cost up to $200 to buy, you can break each one down to eight decimal places in order to make smaller transactions. If you'd prefer not to get an industrial quantity of LSD delivered to your door, then there are a growing number of more mainstream places that now accept Bitcoin. Whenever you pay for something out of the money in your pocket, theoretically you're in charge of that transaction. While that may not work out in practice, cash transactions are much harder to trace than a documented credit card statement -- letting you buy legitimate or illegitimate goods. That's part of Bitcoin's appeal, because you can snag grey market goods, firearms or contraband without the risk of detection by a law enforcement agency. 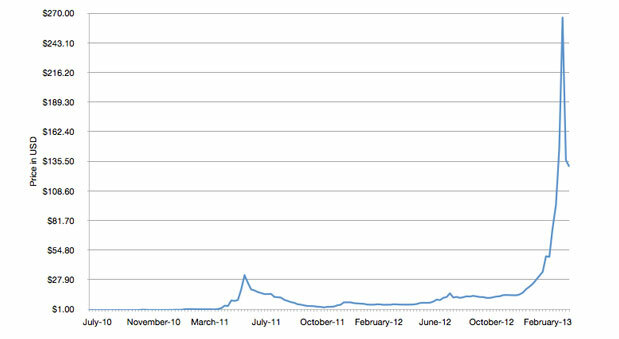 Naturally, Bitcoin has become the most popular unit of exchange on Tor's online "black market," Silk Road, where illegal drugs can be bought anonymously. If you'd prefer not to get an industrial quantity of LSD delivered to your door, then there are a growing number of more mainstream places that now accept Bitcoin. For instance, you can buy premium services from WordPress or OkCupid, and you can even use them to donate funds to Wikileaks. While the EFF had previously accepted donations that way, it has distanced itself from the system saying that it didn't want its acceptance to be misconstrued as an endorsement. Because Bitcoin has been described as the digital equivalent to gold, currency speculators have been encouraged to buy up huge reserves of the coinage in the hope of selling them on at a higher price. Tyler and Cameron Winklevoss (yes, them) are believed to have purchased around $11 million worth of the currency, which has been saved on flash drives and stored in separate banks to keep their hoard secure. Thanks to Bitcoin's volatility against the US dollar, like many other currencies, the system has become a huge draw for investors thinking that the system is a viable way to make a quick buck. It also garners coverage thanks to its shadowy genesis and the regularity of its crashes, which frequently wipe huge sums of money from the value of the fledgling economy. Then there's the partially debunked theory that during the Cyprus crisis, President Nicos Anastasiades had planned to tax every savings account in the country and use the cash to bail out the failing economy. As locals were unable to withdraw their cash from the banks (to prevent them from "running") the nationals were believed to be hiving their cash into Bitcoin, therefore escaping the levy. The story has prompted a few people, including entrepreneurs Jeff Berwick and Zach Harvey, to develop competing Bitcoin ATMs. Finally, Bitcoin is now sufficiently visible to appear on the government's radar. The US Treasury Department's Financial Crimes Enforcement Network has recently issued a note saying that "money-transmitting" bodies like Bitcoin exchanges must register with the agency, with failure to comply resulting in either a $5,000 fine or up to five years in jail. But is Bitcoin the currency that will revolutionize the world's economy? That depends on which economist you ask. Because the money has a fixed and unchangeable limit, the closest real-world example is the gold standard (yep, more gold) -- a historical way to give value to paper money and determine exchange rates between countries. Because there's only a finite quantity of gold in the world, it was easy to keep everyone's currencies at a relatively fixed value. Those who believe in gold standards (like the Austrian School) feel that limited currencies are important for investor confidence, preventing runs on banks and runaway hyperinflation. But while this system does seem to offer permanent stability, it encourages something even more unwelcome: deflation. Because the money has a fixed and unchangeable limit, the closest real-world example is the gold standard (yep, more gold) ..."
If we want to learn about the downsides of Bitcoin, then we should turn to Nobel Prize-winning economist Paul Krugman, who explained the deflation problem back in 1998. He told the story of a babysitting co-operative that was set up in the late '70s by Washington civil servants. In order to make sure that each of the 150-or-so couples did their fair share of babysitting, the group printed a limited number of coupons, equal to an hour of child-minding -- so, if you watched your neighbor's kids for five hours, you'd earn five coupons. While it seemed like a perfectly fair system, parents of young children decided not to leave the houses too often, and so began to hoard coupons for the future. When that happened, the amount of coupons "circulating" in this mini-economy dried up, plunging this motley band of babysitters into a recession, mirroring the great depressions of the early 20th century. In the end, the problem was solved by injecting more liquidity into the market -- printing more coupons to lower their value and discourage hoarding. This is the key problem that Keynesian economists feel will eventually kill Bitcoin, because as its value increases, people will be less likely to spend it in the hope of making a profit later on. Except, by sitting on their money, they'll eventually plunge the coinage into a recession that'll send its value plummeting. The hype, speculation and hysteria that surrounds Bitcoin is nothing new, and whenever an industry gets its digital makeover, history repeats itself. 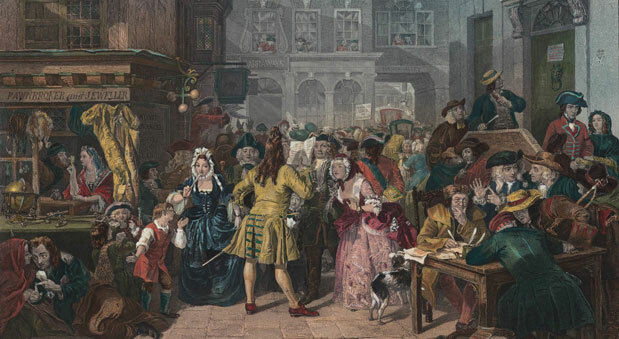 In 1720, the British South Sea Company exaggerated the worth of its dealings to increase its share price. The nation, gripped in a belief that they'd become rich beyond avarice, spent its last penny on buying stock -- causing the share price to skyrocket. Naturally, when the deceit was revealed, the company's shares fell from £1,000 (roughly £120,000 in today's money) to £100 (£12,000, same) to send even the government into meltdown. This was history's first bubble. Those with shorter memories will remember the Dot-Com bubble of 2000, in which wildly speculative investment saw huge amounts of cash ploughed into unsustainable businesses. Bitcoin uses a historically discredited economic principle and doesn't -- as yet -- offer any practical benefit if you're not buying contraband. Leaving the ordinary user ripe for hacking attacks without any form of recourse means we'd be highly unlikely to put our own money into Bitcoin, at least in its current form. The digital revolution is coming for money, don't doubt it, but we're reasonably sure that Bitcoin won't be the torchbearer for the new world order.